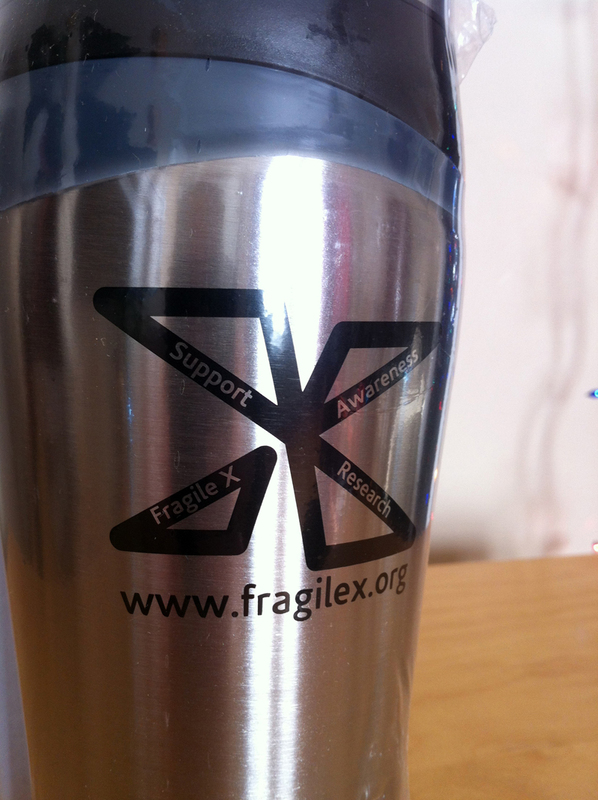 Team Fragile X fundraiser – A Contest! If you missed my earlier post (Team Fragile X – A Challenge), or that humungous fundraising link to the left, or that pole dancing photo on Facebook, there is a fundraiser going on to benefit the Annual Fund for the National Fragile X Foundation! Just to clear up any possible confusion…I started the fundraiser, because someone had to, but this is a TEAM event. We need as many family members and friends as possible to join the team and help raise money. Any money you raise on your page goes to the team total but YOU get credit for your hard work on your own page. OK? Cool, eh? SO. We currently have 10 members on the team which is very cool and I LOVE them for joining. I just think we can do better. The more people who join, who spread the word about what this means to their family, the better because, let’s be honest…your Great Aunt Sue doesn’t want to donate money to me…she wants to donate money to you and your adorable kid(s)! Your friends and family are MUCH more likely to donate if they know the person (YOU) asking. That’s why it’s important to join the team. I don’t think I need to tell you why it’s important to donate money, you already know! 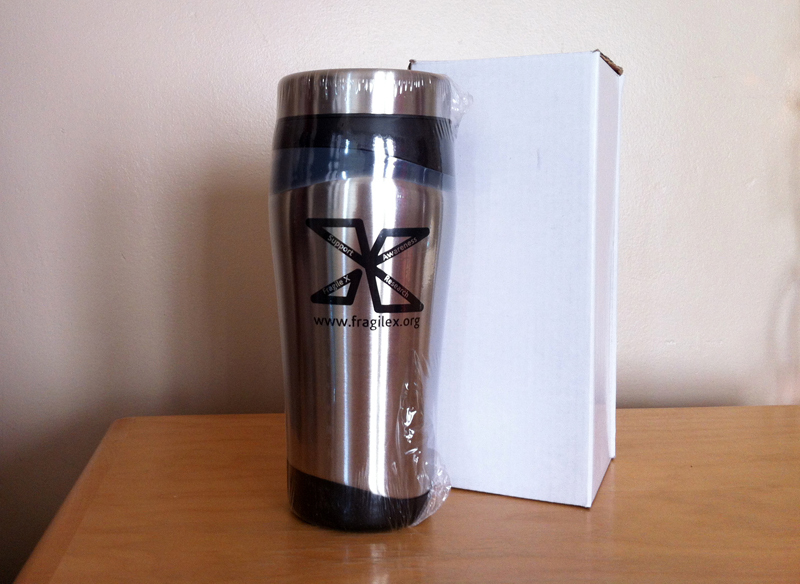 You can’t buy one of these stainless steel, NFXF travel mugs anywhere at the moment! 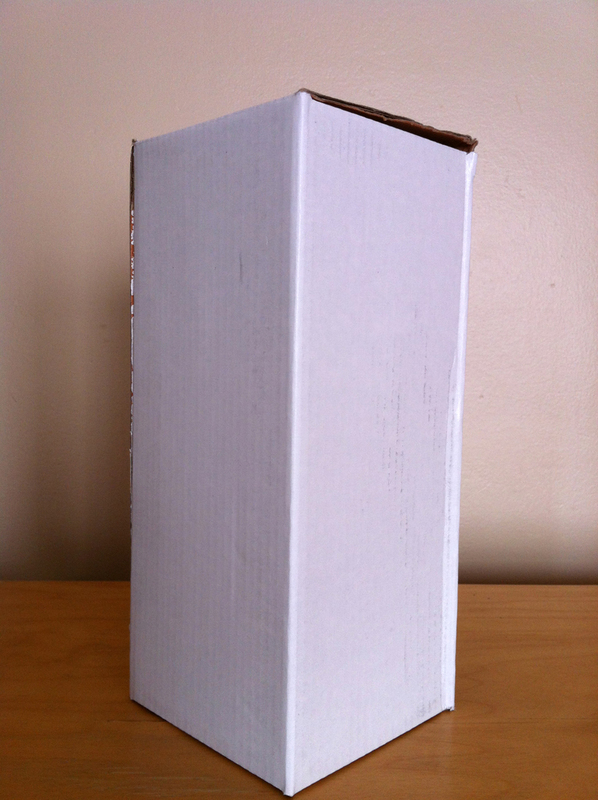 Some day you will but until then the ONLY way to get this…is to win it. So…go join the team and raise some dough! ← Day 7 – Money has a headache. Lys Phipps liked this on Facebook. Melanie Dolph liked this on Facebook.